A working session in the IT Unit of the Ministry of Justice. 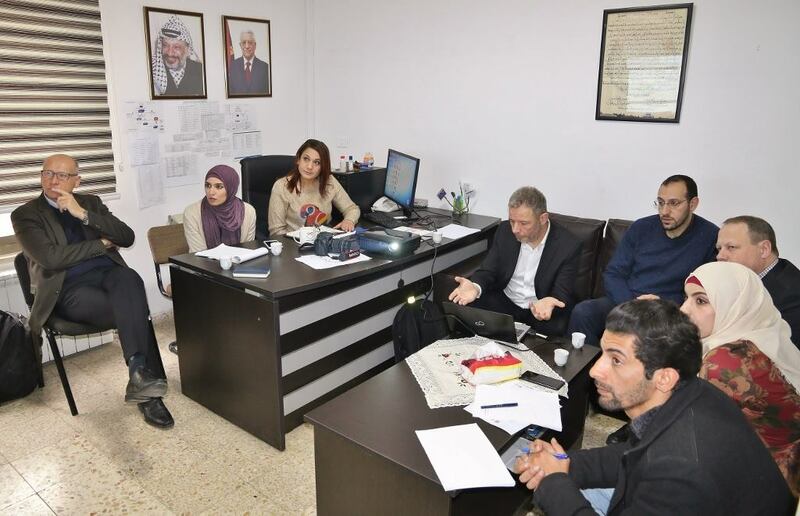 The EU Coordinating Office for Palestinian Police Support (EUPOL COPPS) arranged a two-week visit with two experts from Sweden to work closely with the IT Unit of the Ministry of Justice to identify potential risks, look at options for security improvements and offer best IT security practices. “Their advice has had a significant impact on our knowledge of how to strengthen our infrastructure to ensure a secure and reliable IT environment”, says Ms Hanan Yaghi, Head of the Ministry’s IT Unit.